If you've watched my Instagram Videos, you'll notice that these are the only supplement powders that I personally use and enjoy. Perfect for getting in your greens when you're on the run with the Barleygrass, creating a powerful coffee replacement with the Chaga, or enjoying the Wild Blueberry Powder in smoothies, desserts, recipes or just by the spoonful. Enjoy! This USDA Organic Barleygrass Juice extract is one of the most nutrient rich foods in nature and has been used since ancient times for medicinal and healing purposes. Barleygrass comes from the tender young grass grown from barley seed, harvested when it's at the peak of its chlorophyll, protein and vitamin concentration, before the grass produces any grain. USDA Human Nutrition Center (HNRCA) researchers have shown that blueberries are ranked #1 in antioxidants when compared to 40 other fresh fruits and vegetables. 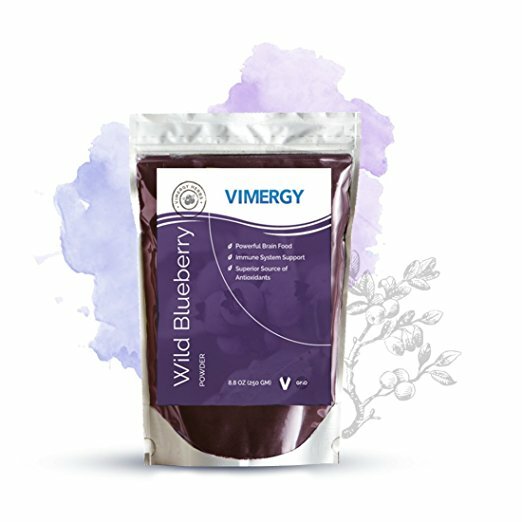 Wild blueberry powder contains antioxidants that can help slow down the aging process, help prevent illness, improve gut health, support liver health, and boost the immune system.